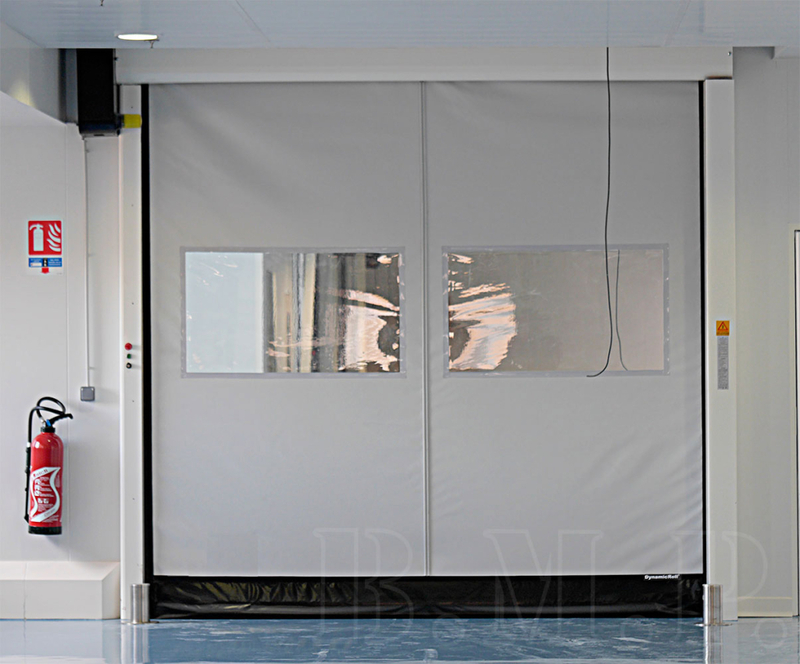 Flexible rapid self-repairing roll-up door typology DYNAMICROLL® CLEAN ROOMS is ENTIRELY made in stainless steel and is the result of B.M.P. 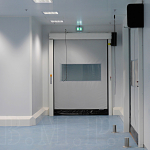 DOORS studies. 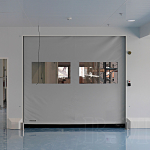 This flexible rapid door ensures excellent quality that responds to science prerogatives, according to the regulations of companies operating at the highest level of hygiene. 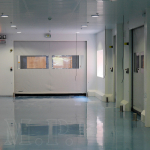 Through the rapid door for these special areas You can get a beautiful product in industrial environments where You have to get very high minimum standards of hygiene. 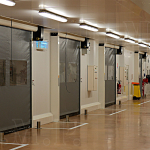 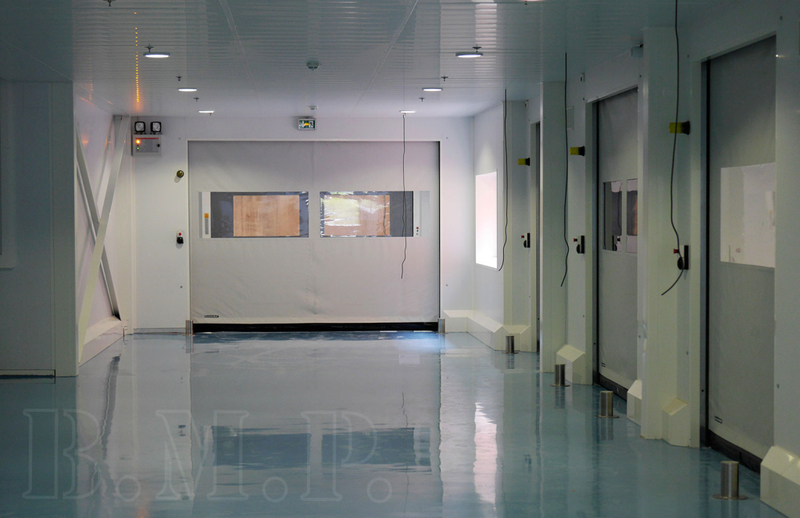 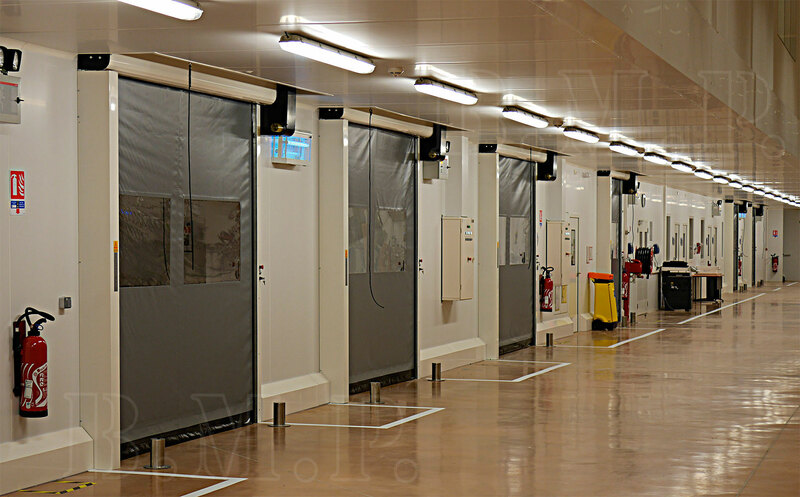 The areas that require B.M.P.group dyanmicroll® clean rooms product are companies that require easy maintenance of high standards of cleanliness and hygiene. 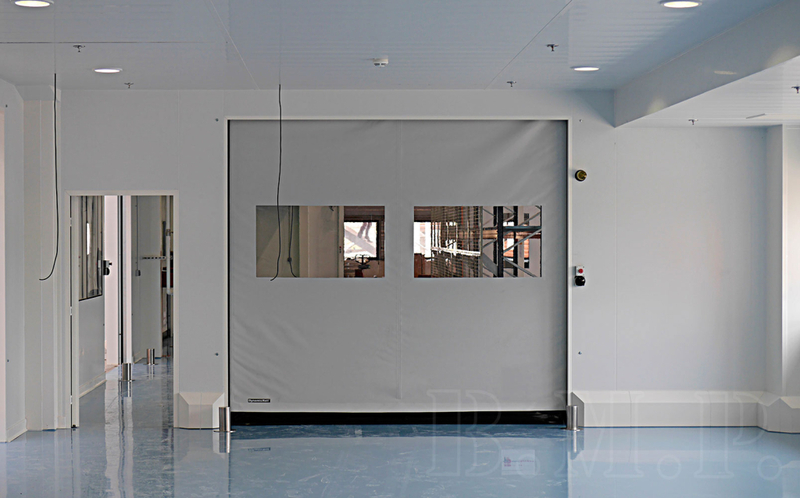 The mechanics of B.M.P.group flexible rapid door is performed only inside the carter of the uprights and the transom of the structure; engine, rotor and all other components are preserved inside the door, so that we can get the highest possible sterility. 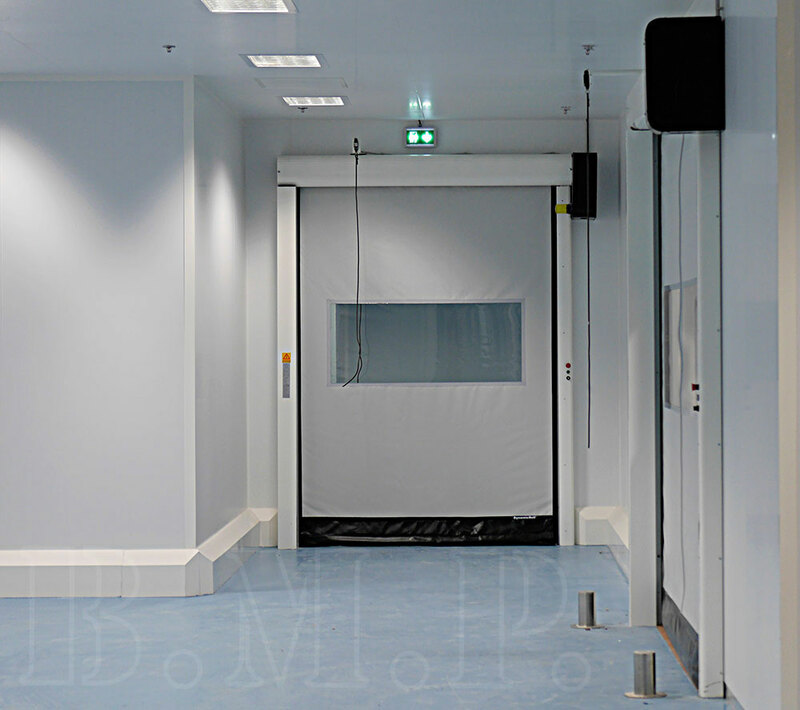 Most suitable areas are business environments with experimentation rooms, where the presence of dirt will be crucial for the work performed into the room. 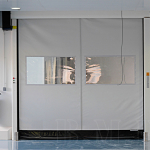 Flexible rapid doors in pvc type dynamicroll® CLEAN ROOMS suitable for max size 6000 x 5000 h curtain closing in PVC without rigid elements for indoor use.